Is GDPR consent required for the use of anonymous data? The GDPR sets very particular regulations on consent. With the new regulation coming in May 2018, companies need to be prepared for new GDPR consent mechanisms for their SAP test and QA systems. Anonymizing data in these systems make GDPR consent no longer mandatory. Natuvion's TDA tool offers a safe way to anonymize data so that it can be safely and rightfully used while expediting the process to full compliance and without the risk of facing GDPR fines. What is a Data Protection Impact Assessment (DPIA)? With the new regulations taking place in May, the GDPR requires a Data Protection impact assessment (DPIA). A data protection impact assessment helps identify the risks when handling personal data and provides a structured process for your company. This assessment increases the transparency and provides a structure for unknown processes that involve dealing with personal data that reduces the risk of non-compliance with GDPR. GDPR | What is SAP ILM and why is it important for data retention GDPR compliance? Why not use SAP GRC? One of the most impactful rights defined by the GDPR is the blocking and deletion of personal data that is no longer required within the purpose defined for the processing. According to the data retention GDPR rule, personal data must be deleted after the primary purpose of the processing has ended. GDPR Legal | What Is A Data Registry or a Records-Processing-Register? What is a data registry? In this workshop, Natuvion walks you not only through the requirements of creating a data registry for your company but in doing so also helps you find a way to comply with other GDPR articles. This includes an analyzation of the different basis of processing and grounds for deletion including many others that build the necessary information needed for a data registry. GDPR | What are Binding Corporate Rules (BCRs)? The GDPR allows for data transfers to countries whose legal regime is deemed by the European Commission to provide for an “adequate” level of personal data protection. In the absence of an adequacy decision, however, transfers are also allowed outside non-EU states under certain circumstances, such as by use of standard contractual clauses or binding corporate rules GDPR (BCRs). Where do we find an experienced Data Protection Lawyer for GDPR? For all GDPR work, our preferred lawyer is Benjamin Spies. Benjamin is an IT Lawyer and a partner, at SKW Schwarz. Benjamin advises national and international companies mainly in the IT sector with the focus on data protection (GDPR), e-commerce, domain law, telecommunications and telemedia law. 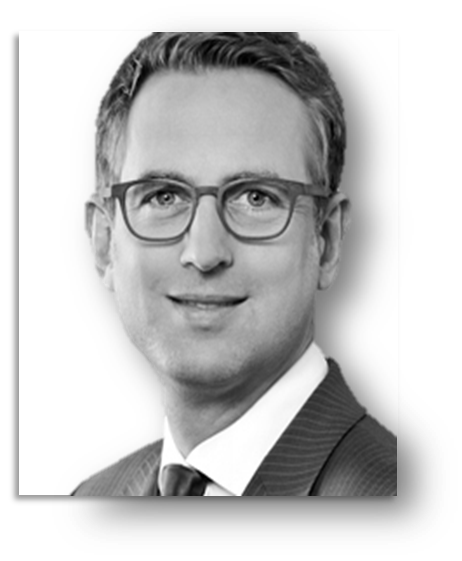 Benjamin is located in Germany, however he is very familiar with the US, he graduated from a US high school and used to work for the award winning US law firm WilmerHale, he is also member of TerraLex and other large law firm networks with a US focus. Benjamin was the co-author on one of the first legal commentaries for the Federal German Data Protection Act. Benjamin has more than 10 years experience in IT law with a focus on Data Privacy & Security. A small sample of his clients are: Netflix, Expedia, Bosch, Addidas, Diamler , MediaSaturn Europes largest IT retailer. Five things you need to do now to ensure your SAP systems meet the GDPR personal data regulations. The GDPR changes prospect and customer engagement rules. The conditions for obtaining prospect consent are stricter under GDPR requirements, as the individual must have the right to withdraw consent at any time. There is also a presumption that consent will not be valid unless separate consents are obtained for different processing activities. Newsletters | This means you have to be able to prove that the individual agreed to a certain action, like receiving a newsletter for instance. It is not allowed to assume or add a disclaimer, and providing an opt-out option is not enough. Marketing and sales activities | Companies will have to review business processes, applications and forms to be compliant with double opt-in rules and email marketing best practices. For example in order to sign up for communications, prospects will have to fill out a form or tick a box and then confirm it was their actions in a further email. Audit Trails | Organizations must prove that consent was given in a case when the individual objects to receiving the communication. This means that any data held, must have an audit trail that is time stamped and reports information detailing what the contact opted into and how. It must also be possible to permanently delete data from your CRM systems. Purchase marketing lists | The company is responsible for getting the proper consent information, even if a vendor or outsourced partner was responsible for gathering the data. Trade Shows | In the corporate world, sales people meet potential customers at a trade show, they exchange business cards, and they add the contacts to the company’s mailing list when they come back to the office. In 2018, this will not be possible anymore. Companies will have to look at new ways of collecting trade show prospect information. To learn more about managing your prospect data, schedule a one-day workshop for Natuvion to build your GDPR road map. Is there a document available online which lists everything that is considered GDPR personal data? In the General Data Protection Regulation, the personal data definition is formulated very generally. Below, we list some examples. However, given the breadth of the regulation, it is not easy to list all the types of data that are considered personal. What is a SAP Gold Partner, why is this important for The GDPR? Natuvion is a SAP Gold Partner. Do we need data privacy consent from individuals to use real data in secondary systems? The best way to eliminate your risk is to anonymize the data in secondary systems. Anonymizing the data removes the need for data privacy consent and (with proof) removes the systems from GDPR compliance processing, while still providing the data for analysis or testing. 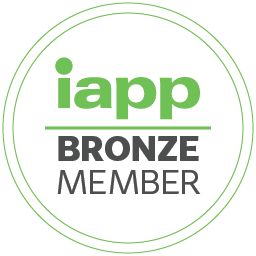 The International Association of Privacy Professionals (IAPP) is the largest and most comprehensive global information privacy community and resource, helping the Natuvion team develop and advance their careers and help our customers manage and protect their data. At Natuvion, we are committed to providing a forum for our privacy and data consultants to be certified in and keep up to date with best practices, track data and privacy trends, data protection, information auditing, information security, legal compliance and/or risk management to ensure we are meeting the needs of our clients.